Naturally sweetened and simply delicious, sometimes less is so much more. With 20 grams of protein, only 1 gram of sugar and basic ingredients you can trust, ONE Basix is All You Need, Nothing You Don't. At ONE we believe that great taste and good health are not mutually exclusive. Because let’s be real – life’s too short for anything boring, tasteless, or worse, chalky. Since our founding as Oh Yeah!, we’ve taken our passion for flavor and shaped the perfect snack. One with 20 grams of protein. One with just 1 gram of sugar. One with totally indulgent flavors that seem too good to be true. So stop searching, and make it official – with our anytime guilt-free protein bars. 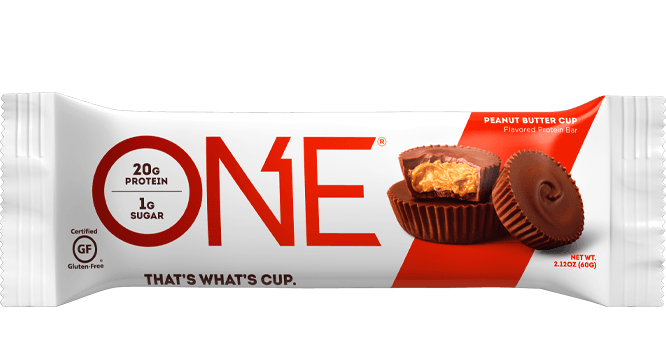 ONE bars are perfect for breakfast, lunch, on-the-go, at-the-office, pre-or-post workout or just because. CONGRATULATIONS, YOU’VE FOUND THE ONE™. Go nuts and coconuts at the same time. Only in it for the dough. The only thing better than breakfast in bed is breakfast anywhere and everywhere. It's peanut butter. It's pie. What's not to love? Now here’s a triple threat.